WOMAN: Marriage is a mistake I’m willing to make...with the right person! SCENE: Man and woman kissing. WOMAN (thinking): Wow! 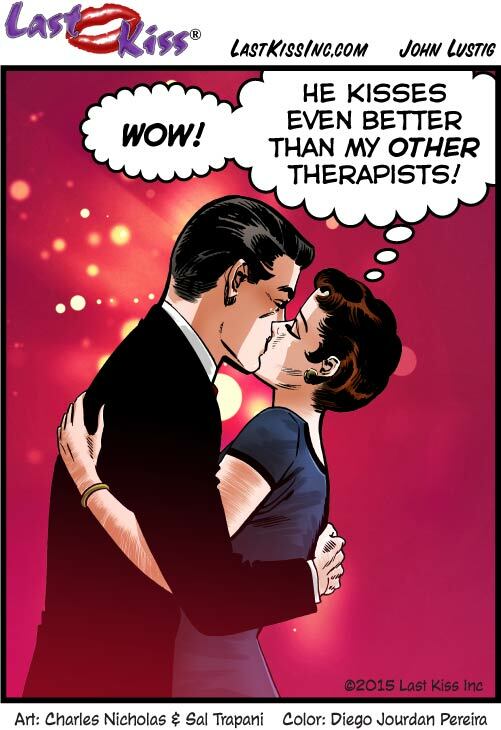 He kisses even better than my other therapists! 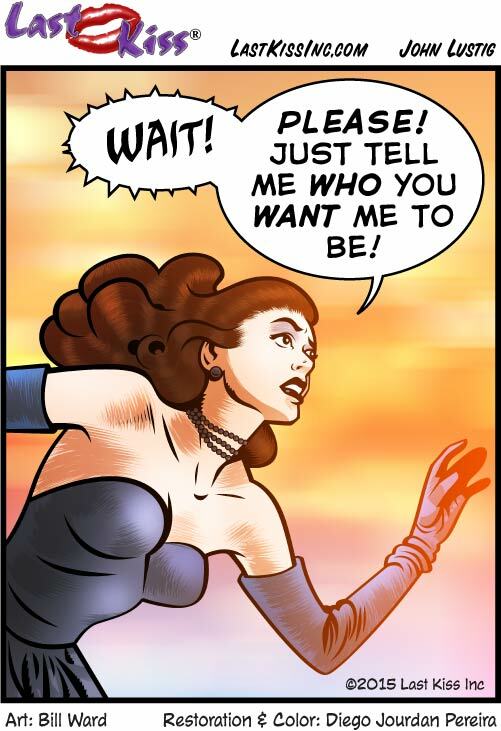 See the original 1951 art and dialogue for today’s Last Kiss webcomic here. RUNNING WOMAN: Wait! Please! Just tell me who you want me to be! 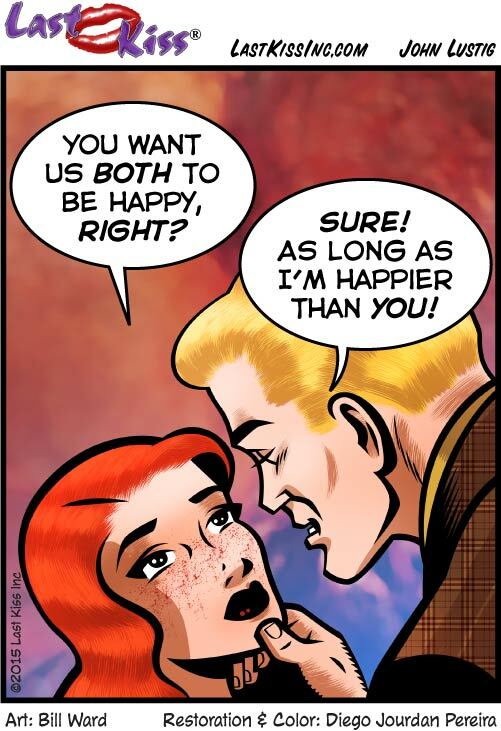 RED-HANDED WOMAN: You want us both to be happy, right? BLOND WOMAN: Sure! As long as I’m happier than you! SCENE: Woman and man standing as they look at a sad man in wheelchair. WOMAN: Gee, Doc! All I did was kiss him! MAN: You're too much woman for any man! 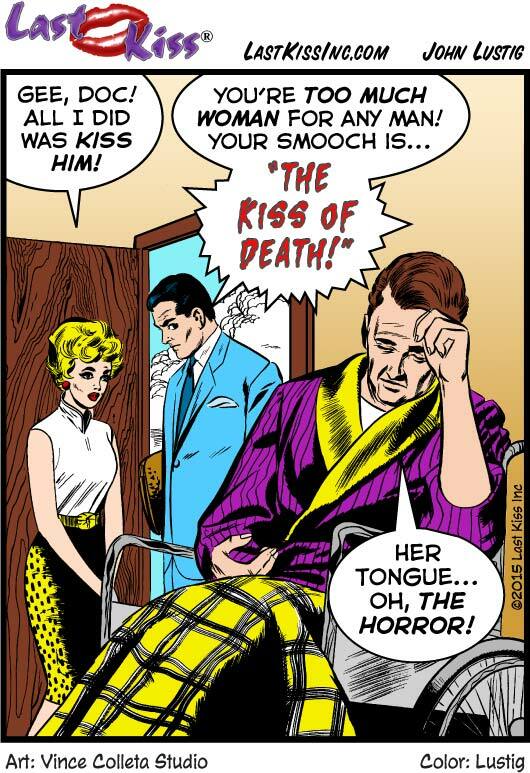 Your smooch is...“The Kiss of Death!"